The project Virtual Mobility Passport (VM-Pass) was conceived with the aim of increasing inter-institutional recognition of virtual-mobility and Open Education based (OER/OCW) courses.In this context, VM-Pass proposes the launching of an unbundling educational model where students are able to follow their studies, be assessed and certified by different institutions according their preferences, rather than have these all integrated within a single rigid study-programme. 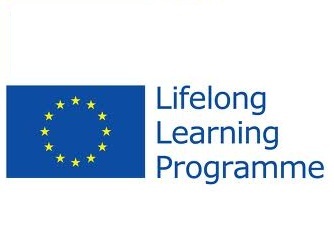 VM-Pass is part of the Lifelong Learning Programme, funded by the European Commission. The project is executed as part of the Erasmus Multilateral Projects Action, within the Strengthening quality through mobility and cross-border cooperation Sub-Action. The VM-Pass project brings together a number of european educational organizations and institutions: the University of Leicester (UK), the European Foundation for Quality in eLearning (Belgium), the International University of La Rioja (Spain), the Vytautas Magnus University (Lithuania), the Baden-Wurttemberg Cooperative State University (Germany), the European Distance and eLearning Network (UK), the Katholieke Universiteit of Leuven (Belgium) and the MENON Network (Belgium). In the meantime, UNESCO and the EC address this problem through a number of communications (UNESCO Paris OER Declaration of 2012,or the EC’s ‘Rethinking Education’ communication). In this context, the VM-Pass project aims to increase inter-institutional recognition of Virtual Mobility and Open Education based learning. The Unbundling Educational Module: a new educational system which allows students to follow their studies, be assessed and certified by different institutions, rather than have all the learning modules integrated in a single rigid study-programme. A student-held learning passport will be piloted by HEIs: a transparency and portability tool, compatible with EQF. VM-Pass attempts to deploy it in a live setting. The so called recognition clearinghouse will be tested by universities. 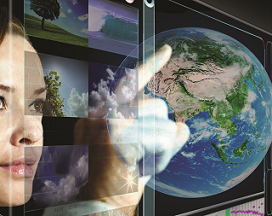 It is a web-based tool containing a database of institutions and structured learning resources. It provides information on HEIs and Open Education based courses.